Divisions of the Anti-Aircraft Missile Base Train at the Field Training Ground "Koren"
Divisions from the 1st Anti-Aircraft Missile Base start combat training from temporary positions at the field training ground “Koren”. In the course of two weeks, the formations, armed with the surface-to-air missile systems S-125 Neva (SA-3) and Kub (SA-6), will “be at war” with F-15 aircrafts of the USA combat aviation and MiG-29 and L-39 of the Bulgarian Air Force. The warfare is being enacted within the framework of the joint Bulgarian-American flight training “Thracian eagle 2018”. 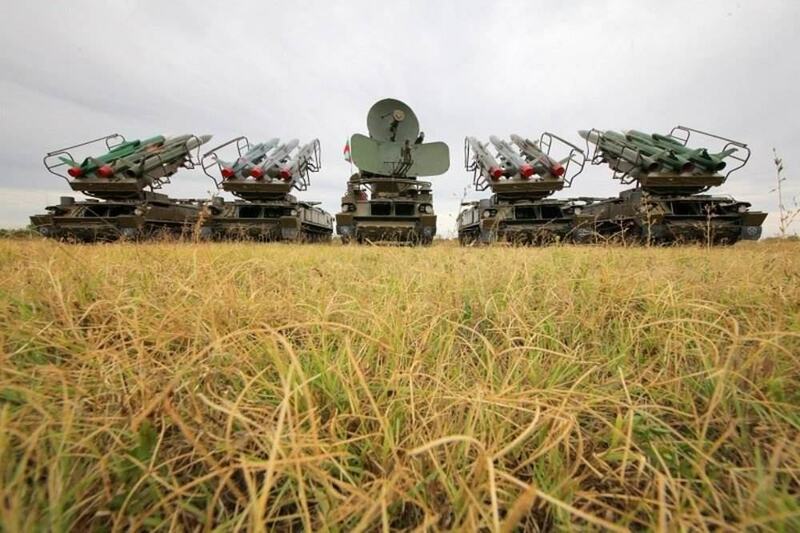 Initially the S-125 Neva surface-to-air missile system will be situated at the field training ground, and then it will be replaced by the Kub surface-to-air missile system. The surface-to-air systems will work off disguise of strategic sites from the critical infrastructure of Bulgaria. It is planned they to be involved in group air attacks independently and in interaction with aviation groups, formed by the American and Bulgarian aircrafts. The taking of the surface-to-air systems from the points of permanent dislocation and their positioning at the training ground allows the training to be realized in conditions which are quite close to real warfare. The realistic tactical environment is complemented by the variable atmospheric conditions of the training ground. Other division of the Anti-Aircraft Missile Base will also take part in the training. They will work off execution of tasks against the aviation from their points of permanent dislocation.